Stathis Partners, LLC. is an executive resources and business intelligence firm in the bank and credit union investment and insurance services channel. SP’s primary objective is to make the channel more competitive by fostering best-practices knowledge exchange. This is accomplished by providing best-practices research, consulting, and live executive forums where leaders in the channel enhance strategic thinking via multi-day off-site peer group discussions. Much of SP’s work is accomplished via partnerships with other industry experts on a sub-contract basis. This enables us to bring best-of-breed solutions to bear. The drivers behind Stathis Partners are Scott Stathis and Janet Cappelletti. and we are partnered with Robert J. Mittel. 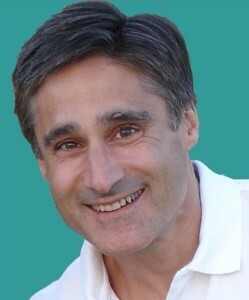 Scott Stathis has worked in the financial services industry since 1992. Scott joined forces with Dr. Kenneth Kehrer in 2008 and subsequently partnered with BISA in 2012 to form Bank Insurance & Securities Research Associates. BISRA (formerly Kehrer-LIMRA) is a performance research and consulting organization focused on financial institutions, and is a collaboration between BISA and LIMRA International. 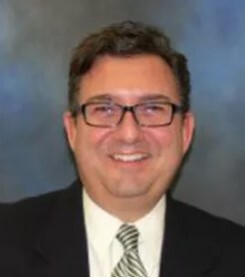 Scott served as the Managing Director and COO of BISRA until 2015. His early background in the industry includes new broker training, sales automation, and financial planning systems. His more recent experience includes 12 years running his own financial services technology consulting and sales performance company, as well as being president of a financial planning software firm. Scott’s experience and insights have established him as a reliable source of guidance related to productivity and distribution in the financial services industry. He moderates several industry roundtables each year, his articles are published regularly, and he is a frequent speaker at industry gatherings. Janet has been on the data and research side of banking and investment services since 1993 when she joined Webster Bank in the mortgage banking area. In 1999, she moved over to the Webster Investment Services side of the business where she helped build and maintain business processes and efficiencies while collecting and leveraging data to improve sales results and management efficiencies. Janet’s data-based insights have established her as a go-to source for industry analytics and trending. Bob has been in the bank channel for over 30 years and has worked on both sides of the equation. He is well known in the industry for his work initially as a program manager in a bank, and more recently as a Bank Life Insurance executive with one of the most recognized insurance companies in the industry.